Ever been working on a project only to have the software you’re using crash on you? Or been to a restaurant and had to wait forever for service? 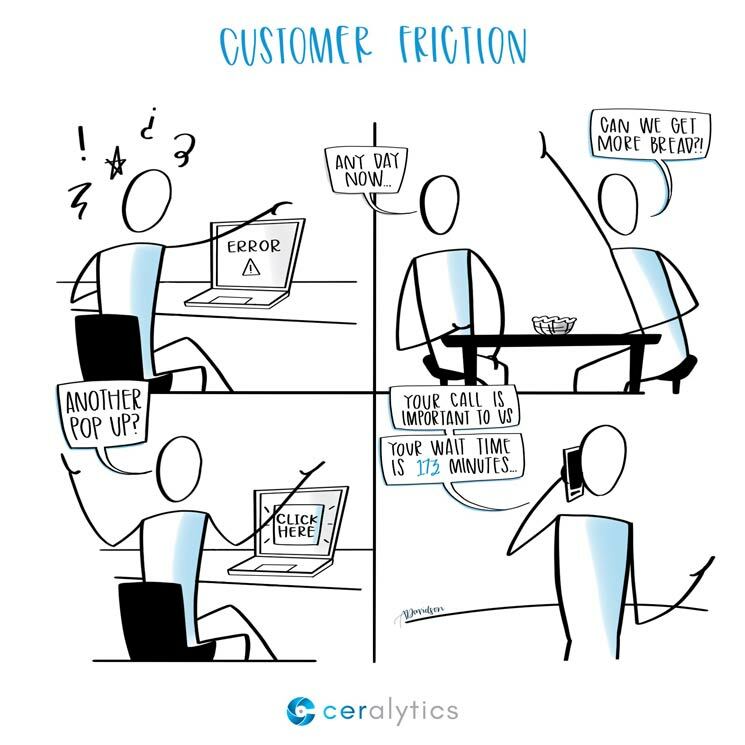 If so, you’ve experienced customer friction. Customer friction is anything that impedes your customer from moving through the marketing and sales funnels to buy your goods or services, or pushes them away from wanting to buy from you again. And customer friction happens every day to different degrees. From simple annoyances, to catastrophic breaches in data or systems. Though they range in severity, even small customer friction points can cause major issues with your marketing and customer retention strategies. Recently, we received an email from a newsletter subscriber who wanted to share the Sketchalytics sign-up page on social media. Should be simple, right? Well, for whatever reason, we didn’t have social sharing buttons on our newsletter sign-up page. ACK! This was a major friction point to anyone who wanted to share our newsletter. It doesn’t feel very good to realize how many people we missed out on because we had a friction point in sharing our newsletter, but at least we were alerted to the problem by a subscriber – thank you, Susan! Many times we overlook how our audiences actually interact with our brands. We take for granted that our website may not be as clear-cut as we think it is. That finding the information about our offerings may not be all that clear. Other times, we don’t put ourselves in our customer’s shoes when they come into our stores or restaurants. We don’t think about their experience like we should. There are probably thousands of places to look to fix customer friction. But at a high level, we can focus specifically on the online and offline friction points that come up often. 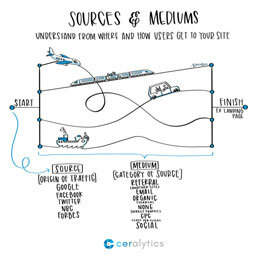 Identifying how easily your audience can navigate and understand your website is vital to a great customer experience. If your site leads people to dead-ends, or interrupts their experience in ways that turn them away, you have major friction points. To find some of these friction points, a great place to look is the exit pages on your site. In Google Analytics, you can view Exit pages – which shows where people left your site. Look on these pages for any signs of why more people left that page than any other. You can find your Exit rate in Google Analytics by going to Behavior > Site Content > Exit Pages. This will give you a list of pages that are most exited on your site. Dive into each page with a high % Exit to see how the customer’s experience on that page may differ from other pages – perhaps you’re trying too hard to get them to take a big next step (sign up for a demo) when a little step would do (sign up for a newsletter or related piece of content). This is where conversion rate optimization comes in as well. By doing some A/B and multivariate testing, you can identify which elements truly are the sticking points, and correct them to increase conversions. Another way to remove customer friction online is to make sure people can access your site correctly. Going to a website on your phone that’s not mobile-friendly is an immediate friction point. Finally, page speed is another factor to keep in mind. If your page takes 20 seconds to load, people aren’t going to wait for it. Remove elements on the page that may be hampering technical performance, such as over-sized images and interactive elements that don’t add much to the page but take up too many resources. Offline customer experience requires you to be really paying attention to customers around you. How are customers treated when they interact with your employees? What kind of friction do customers experience when they want to return something they bought? Zappos famously made returns incredibly easy and went well beyond the typical 30 day return cycle. If you’re not 100% satisfied with a Zappos purchase, you can return it any time within 1 YEAR. It was a differentiator that many large retailers have tried to follow to some degree. However, not many have removed 1 full year of friction from returns. Removing this friction point arguably made Zappos what it is today. Bed Bath & Beyond will accept any return without question, and they often honor expired 20% coupons. They remove the friction points of people getting an annoyed cashier saying, “Sorry, this coupon is expired…” To them, the lack of friction is worth giving that 20% discount, because it keeps people coming back. Look at complaints you receive about your business. These aren’t something to snarl at. They’re learning experiences. If someone was willing to leave you a complaint – either in person or online – take it as an opportunity to improve. Put yourself in your audience’s shoes, and walk through the process of learning about your brand, their first direct interactions with your brand, the process to get them to buy something, and the process to keep their business moving forward. If you do most of your business online, go to your website and navigate it through your client’s eyes. Better yet, ask people who don’t know your brand to navigate your site to find specific solutions to problems. Can they do it easily? If not, you have friction. If you have a brick-and-mortar store, pay attention to how employees interact with customers. Do customers get frustrated? When? What are the circumstances of that frustration? Now, what can you do to alleviate their frustration and keep it from happening again? Removing customer friction from your business will get you more new clients and retain existing clients at a higher rate. It’s often overlooked, but needs to be put front and center. 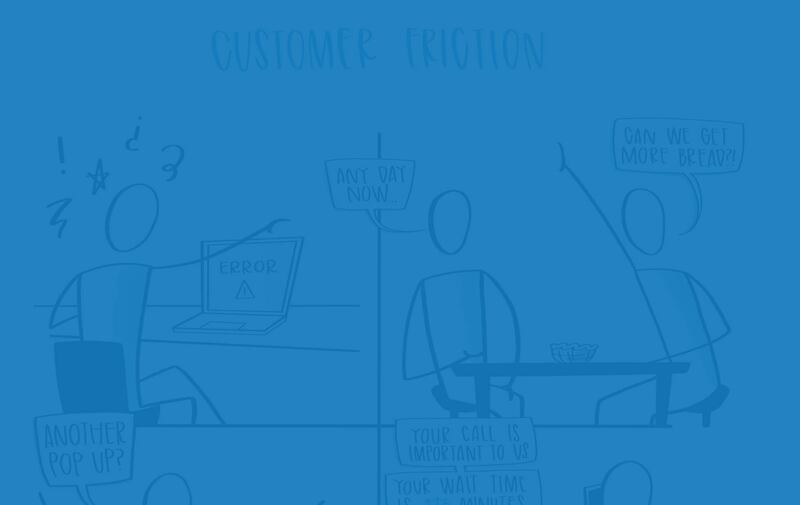 What are some examples of customer friction that really get to you? Share them in the comments below.